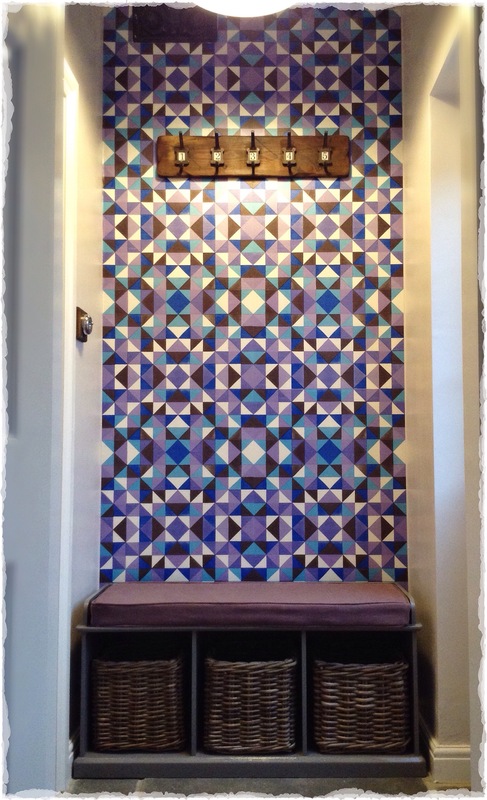 This entry was posted in Boot Room and tagged feature wall, geometric wallpaper, makeover, school hook, storage bench, victorian renovation by ladylansdowne. Bookmark the permalink. Thanks. Absolutely, though I realised there’s still another switch to fit in there… Never ending story! Thank you, hopefully post the cloakroom at the weekend. The other nine though… Don’t hold your breath! Looks great!! I actually love the final choice of wallpaper, it suits it perfectly and is definitely a statement! Everything picks up on each other, the purple in the cushion and the grey in the slate floor. Great choices! 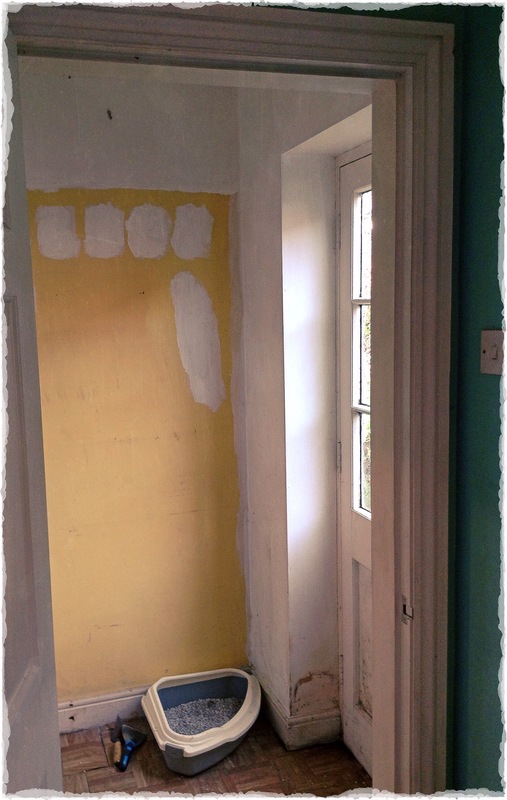 I’m pleased with it…bit bonkers but I love it!